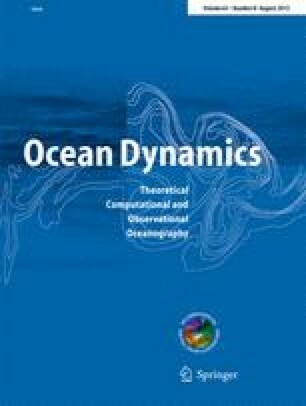 A new numerical model for simulating estuarine dynamics is introduced here. This model, called General Estuarine Transport Model (GETM), has been specifically designed for reproducing baroclinic, bathymetry-guided flows where the tidal range may exceed the mean water depth in large parts of the domain such that drying and flooding processes are relevant. Several physical and numerical features of the model support exact and stable results for such domains. For the physics, high-order turbulence closure schemes guarantee proper reproduction of vertical exchange processes. Among the specific numerical features, generalised vertical coordinates, orthogonal curvilinear horizontal coordinates, high-order TVD advection schemes and stable drying and flooding algorithms have been implemented into GETM. The model is applied here to simulate the dynamics of estuarine turbidity maxima (ETMs), a complex feature present in most tidal estuaries. First, idealised simulations for a two-dimensional domain in the xz space will be shown to reproduce the basic generation mechanisms for ETMs. Then, a realistic three-dimensional simulation of the Elbe estuary in Northern Germany will be carried out. It is demonstrated that for a given forcing situation the model reproduces a stable ETM at the correct location. The work of Karsten Bolding is partially funded by European projects MaBenE (EVKS-2001-00144) and OCEANIDES (EVK2-CT-3003-00277). The work of Manuel Ruiz Villarreal has been partially funded by a Marie Curie Fellowship of the European Community Programme IHP under contract number HPMF-CT-2000-01037. He also acknowledges the present support of a Ramón y Cajal fellowship (Spanish Ministery of Science and Technology). We wish to thank Marcus Böhlich (Bundesanstalt für Wasserbau Dienststelle Hamburg, Germany) for providing us with bathymetric data of the Elbe estuary. We are furthermore grateful to Jean-Marie Beckers (University of Liège, Belgium) for supporting the development of GETM with his ocean modelling expertise. We finally would like to thank two anonymous reviewers for their fruitful comments which helped to improve this manuscript.